After a morning full of sightseeing in UB, drive east to the picturesque Gun Galuut Nature reserve for your first taste of Mongolian flora and fauna. 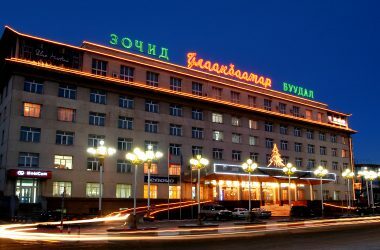 Return back to UB and overnight at hotel. 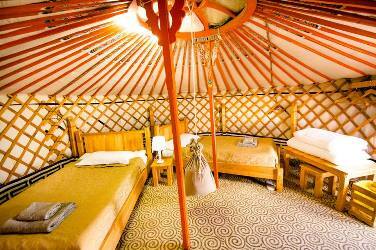 Early In the morning, we will fly south to the Gobi Desert. Evening time at the Flaming Cliffs, where the first dinosaur eggs the world had ever seen was found in 1923. 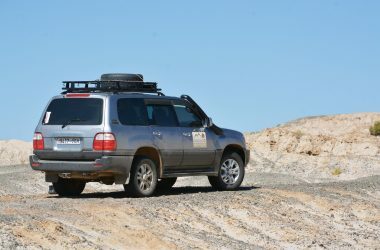 In the morning, drive to the Hongoryn Els sand dunes and enjoy climbing the tallest of the dunes. 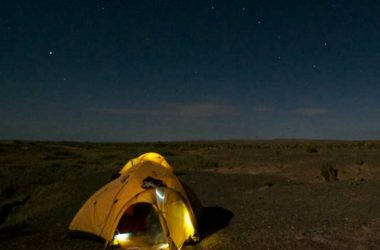 We will spend these days camping in the deep valley of the remote Sevrei Mountain, one of the most beautiful and hidden sites in the heart of the Gobi. We will meet local rangers and join them in the search of the elusive snowleopard. Overnight in tents. For the next two days, we will stay in tents in the Tost Mountain, another remote mountain site where the rare snow cats find a refuge. We will join a local ranger in the pursuit of these cats. Overnight in tents. 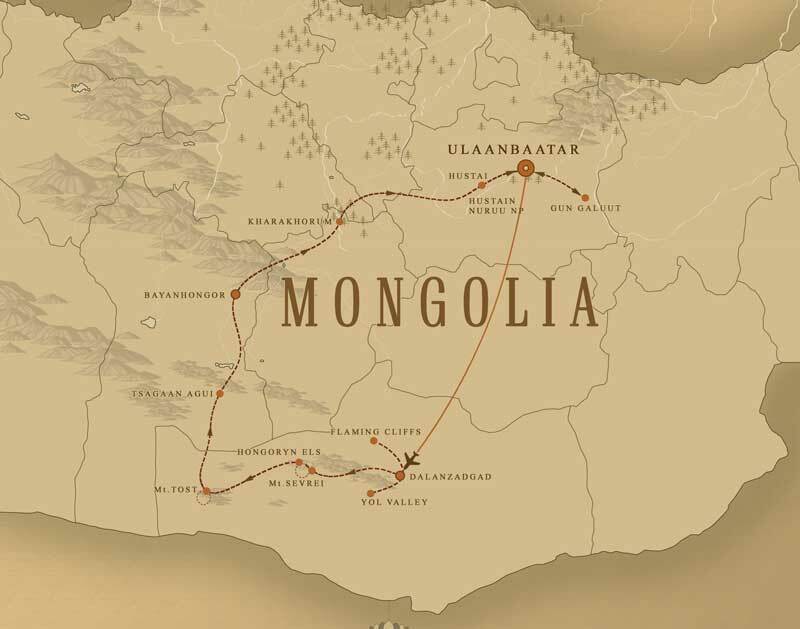 We turn north and drive through the picturesque Bayanhongor province, where we will visit an ancient cave and one of the largest petroglyph sites in the country. It is also a popular bird watching ground as we pass several lakes en route. Overnight in gers. Spend these remaining days exploring ancient archeological sites, Buddhist Monasteries, meeting monks, visiting nomadic herders and exploring world’s only true wild horse, the takhi. Overnight in gers.